REDUCED! Approximately 1 acre rocking chair front porch beauty in Plantation South located on quiet culdesac! 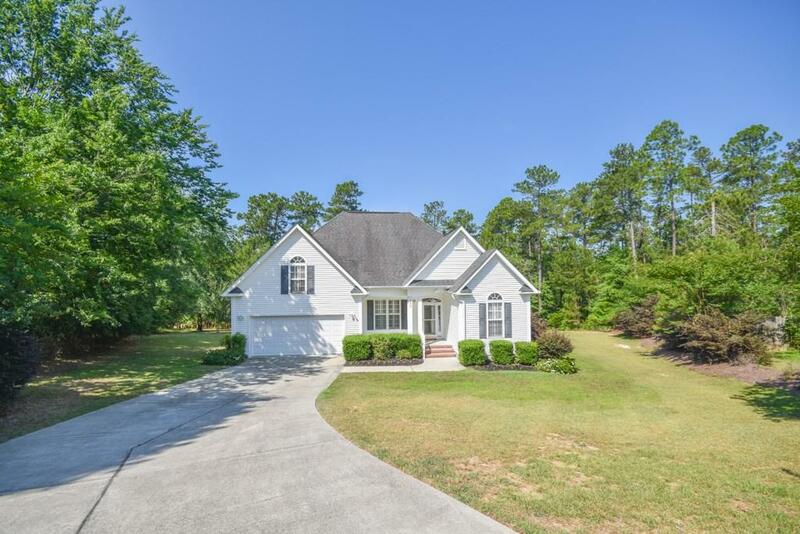 4 or 5 bedroom 3 full bath home! Fantastic hardwood floors! Open floor plan! Architectural shingle roof! Lots of fresh interior paint! Upgraded plantation shutters! Dining room or possible office since has a huge dining area off kitchen! 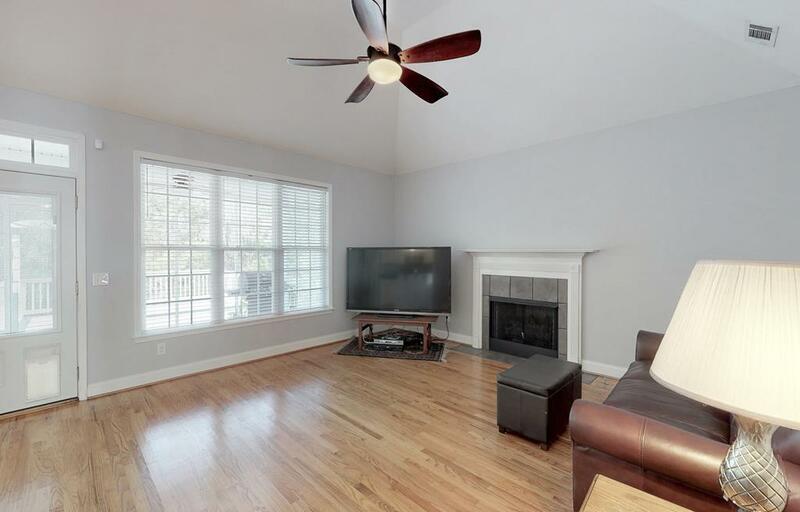 Living room with vaulted ceiling, nice fan & gas fireplace! 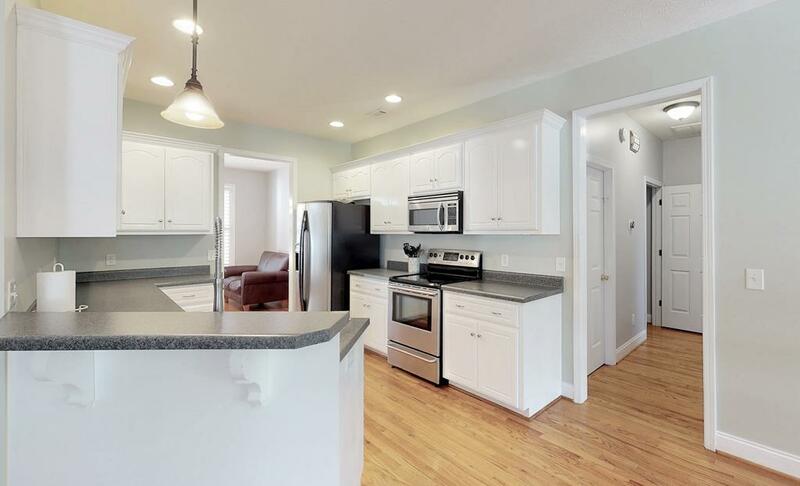 Kitchen with built in microwave, new sink, breakfast bar, pantry, & refrigerator negotiable! Owners suite main level with tray ceiling, walk in closet, double sink vanity, tile floor, newer shower plus 2 linen closets! 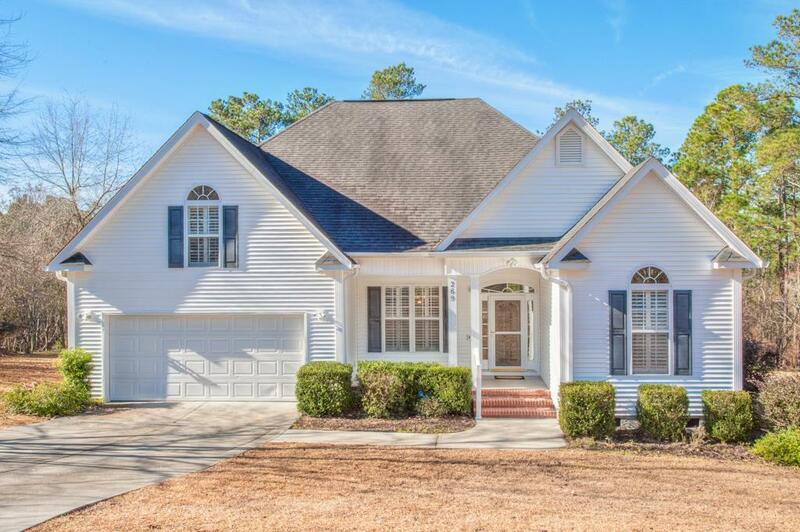 2 additional bedrooms on main level plus 4th bedroom and bonus room with closet also so possible 5th bedroom or great in-law suite! Laundry room with folding & hanging area, cabinets plus washer dryer negotiable! Screened porch plus trex deck! Portion of yard fenced and perfect for pets! Full sprinkler! Gutters added! Great location with easy access to everything!